Since 1872 five generations have contributed to the elaboration of the prestigious Cognac “signé NORMANDIN-MERCIER”. Coming from the best vineyards of “Grande” and “Petite” Champagne, our Cognacs are selected with the utmost stringency, and then matured in our traditional cellars near La Rochelle. The proximity of the ocean regulates the thermal fluctuations and gives them roundness and distinction. Throughout several decades, their color changes from golden yellow to dark brown and their bouquet develops; every Cognac has its own character that comes from the natural qualities of the oak wood and the length of time maturing in 350 liter barrels. The degree of natural humidity of the wine cellars in which the barrels are stored constitutes, by its influence on the evaporation, one of the determining factors of ageing. The special balance between humidity and dryness that exists in the NORMANDIN-MERCIER cellars, gives a rare softness and balance to their Cognacs. The reputation of the NORMANDIN-MERCIER house has been forged on the qualities of its old Cognacs, such as “Grande Champagne” and “Petite Champagne”, and on its traditional methods: its natural hue (no coloring), non chill-filtering, and respect for manual labor in the wine cellars. With time the aroma of the Cognac has become richer: the initial floral and fruity perfumes have become impregnated with a slightly vanilla and woody note coming from the oak wood. The strength of the alcohol has decreased thereby benefitting a bouquet which has grown infinitely richer: this is when the “divin rancio” occurs. The Cognac is then transferred into very old oak barrels, and afterwards into glass kegs called “Lady Janes” in which it can be conserved without decay. The oldest Cognacs are always kept in the “paradis”, which is the darkest part of the cellar that is kept separate; this natural evaporation is very poetically called “the hand of the Angels". During all the time it is ageing the Cognac gradually loses both degree and volume; but it is a lot less “poetic” as far as the Cognac Houses are concerned if they lose a large amount of their marvelous wine spirits. The alcohol vapors nurture a microscopic mushroom, called "torula compniacensis", that blackens the walls of the wine cellars and is known as the “the Angels’ share” which remains completely visible! The NORMANDIN-MERCIER Cognac is a product that is in constant evolution during its ageing process. Normandin-Mercier Cognac is always striving for a very consistent level of high quality. Passion, intuition, rigor and loyalty, are the qualities that have been passed on to the young generation by previous generations; through osmosis certain Cognac genes must exist just as the sensitive nose of perfumers. The wealth and diversity of the stock allows this young generation to create subtle blends of wine spirits and to conserve not only the authenticity of “Cognac de la Maison”, but also maintain the loyalty of great amateurs. 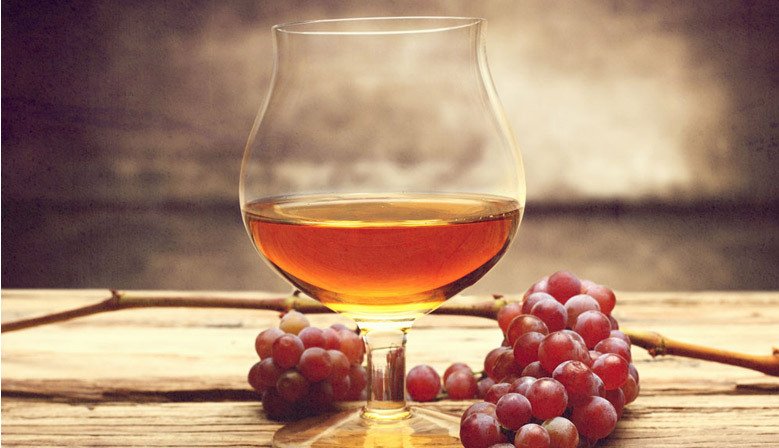 From the rigorous selection of the grapes during each step of turning grapes into cognac: original growth, quality of the grapes, quality of the wine, perfection of the distillation, quality of the barrels, the ageing process, and the work in the cellars, every “Cognac de la Maison” is UNIQUE. This work, coming from long experience, allows the “Maison NORMANDIN-MERCIER” to retain and master the quality of its COGNACS. It is this heritage of old vintages that enables us to offer you exceptional Cognacs.